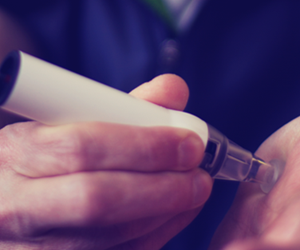 The last few years have seen a large increase in the number of people who use non-invasive or minimally invasive devices to regularly monitor their glucose levels. But considering the results, is the expense worth it? Continuous Glucose Monitors (CGM’s) are the most costly and lower cost Flash Monitoring devices such as the Freestyle Libre still cost thousands of dollars and are not non-invasive but minimally invasive as they are required a sensor affixed that passes through the skin. This is not universally suitable for all people who want to monitor their glucose and there have been some reported cases of infections that have occurred. The GlucoTrack is the only truly non-invasive device as nothing pierces the skin. However all of these devices are costly and as an example the Freestyle Libre for example requires replacement of its sensors every 2 weeks and costs about $2,500 Australian dollars a year to use. The disadvantage of all these devices is that not all users are aware of or fully understand is that these types of monitors do not test blood glucose and instead monitor tissue glucose. It’s a physiological fact that tissue glucose has a latency or “lag” of 8 to 15 minutes and that lags behind the readings for blood glucose. Furthermore this lag is not constant for all people and readings can also be subject to temperature variations which is something manufacturer’s don’t advertise. 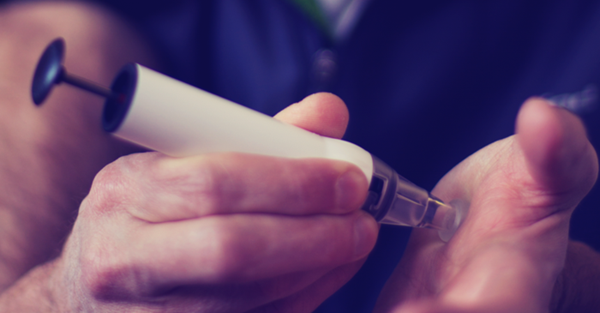 So people with Type1 diabetes which is usually characterised by rapid fluctuations in glucose levels should still rely on fingertip blood glucose testing, particularly if they feel they are becoming hypoglycaemic. Another thing that manufacturers of these devices neglect to mention is that there is a difference between testing under laboratory controlled conditions and testing at they neglect to inform users that readings can be effected by temperature variations. Results can vary depending whether monitoring takes place indoors or outdoors, after exercising and showering and monitoring less than 20 minutes after waking up in the morning. Other factors that effect accuracy are compensation for lag post prandially (after eating), with the exception of the GlucoTrack, that monitors and compensates for ambient temperature and has complex algorithms for post prandial accuracy improvement. All these new technologies are convenient to use and essentially pain free most of the time, but in spite of the hype only occupy a tiny percentage of the overall diabetes market. Lets’s face facts though. Probably the biggest driving factor behind the growth of non-invasive technology is the fear of the dreaded finger prick as people do not like pain and in furthermore do not like to have fingertips that have become “pincushions” and that develop numbness. Blood glucose testing via finger pricking still remains the gold standard for self monitoring of blood glucose (SMBG) and the widely available new generation of blood glucose meters are more accurate than ever. The classic definition of a disruptive technology is one that displaces an established technology and shakes up the industry or a ground-breaking product that creates a completely new industry. From an engineering and design perspective the innovative Genteel gentle lancing device fully fits this description and is an ingenious, and brilliant robust device that offers a great alternative solution for a host of reasons.